The vaquita is the most endangered marine mammal in the world, with fewer than 30 individuals remaining. Although there has been much effort to preserve the species, very little work has focused on engaging the local people in the fishing communities in the upper Gulf of California, Mexico, that directly impact the vaquita. 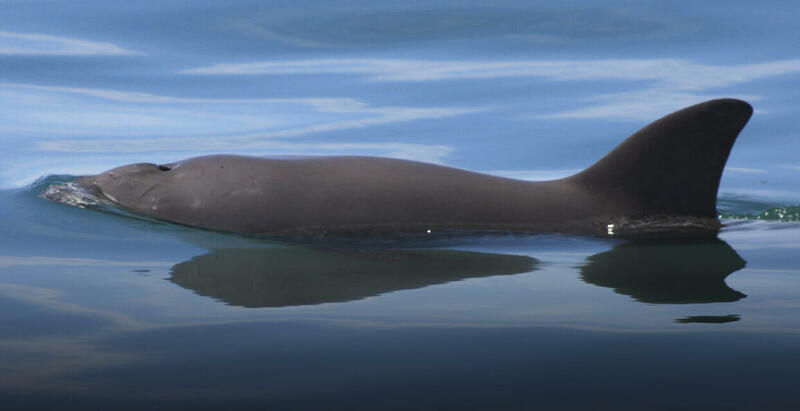 Because the main threat to the vaquita stems from fishing, which is the primary livelihood of these communities, involving local people from the outset will help lead to relevant and locally appropriate methods of protection. Our Community Engagement team partners with the Scripps Institution of Oceanography and the Gulf of California Marine Program, as well as students from Mexico and San Diego, to gain an understanding of how conservation efforts have impacted local communities. Using social science research, we conduct interviews with local people and share the results with the international conservation community. Our intent is to provide local communities with a voice and facilitate the inclusion of humans in species conservation solutions. Shifting from unsustainable fishing practices, providing economic alternatives, and sharing scientific results are all vital in gaining the support and trust of local communities. We work with the communities of San Felipe and El Golfo de Santa Clara to facilitate engagement in conservation, knowledge and skill development, and sustainability initiatives. Our goal is to build the capacity for a local and independently managed program. We accomplish this through training of Mexican citizens who live and work in or near the upper Gulf of California and Baja California, Mexico. A San Felipe native currently coordinates operations on the ground and oversees education programs. We contract Mexicans to assist in conducting interviews among the communities and to create locally and culturally relevant materials. These roles also serve as employment opportunities for local people and provide income in a region where economic incentives are important. Considering human wellbeing and illustrating clear benefits to the community is essential in promoting engagement. We coordinate the Association of Zoos and Aquariums SAFE initiative on Sustainable Livelihoods, for which we are exploring market-based incentives in the form of alternative livelihood opportunities that reduce fishing pressure and help diversify the local economy. We collaborate with NGOs such as Pronatura Noroeste, the Intercultural Center for the Study of Deserts and Oceans, Natural Spaces and Sustainable Development, and local community members to develop and implement environmental education initiatives in the communities of San Felipe, El Golfo de Santa Clara, and Puerto Peñasco, Mexico. Our program, Ridge to Reef or Del Mar as las Montañas, includes curriculum developed for Baja California in collaboration with local teachers. Teachers participate in training workshops and are supported in creating projects with their students to make observable changes in the community (i.e. recycling programs and school nurseries). Teachers and students are given access to technology such as microscopes, binoculars, and camera traps, and students engage in competitions focused on innovative conservation solutions.